Grizzly bears of Yellowstone National Park are safe — for now — after a Montana federal judge issued a 14-day restraining order Thursday evening preventing the start of trophy hunts. The hunts were to be the first since the grizzly bear was protected under the Endangered Species Act in 1975 due to threats of extinction. U.S. District Court Judge Dana Christensen issued a temporary restraining order hours after hearing the arguments. Saying the prosecution had raised "serious questions going to the merits," Christensen wrote that a temporary stop to the hunt was necessary to prevent irreparable damage to the species. "Indeed, harm to members [of endangered species] is irreparable because once a member of an endangered species has been injured, the task of preserving that species becomes all the more difficult," her ruling said, quoting a previous case. The U.S. Fish and Wildlife Service removed Yellowstone grizzly bears from the Endangered Species Act in August 2017, citing a "remarkable recovery" in population, and passed the management of the species on to the state wildlife agencies. Both Wyoming and Idaho in May began the application process for the trophy hunts, which were expected to begin on September 1st. Despite the increase in recent years, the Yellowstone grizzly bear population numbers only around 700 within the park system. Environmental nonprofit Earthjustice, which brought the case along with the Northern Cheyenne Tribe and other environmental groups, commended the ruling to temporarily stop the hunt. "There is simply no need to rush into a grizzly bear hunt, with potentially devastating consequences for this iconic species, when the merits of that hunt are being reviewed in federal court," Matthew Bishop, an attorney with the Western Environmental Law Center, said in a press release. Bethany Cotton, a representative for WildEarth Guardians, expressed relief at the temporary restraining order in the organization's public statement. 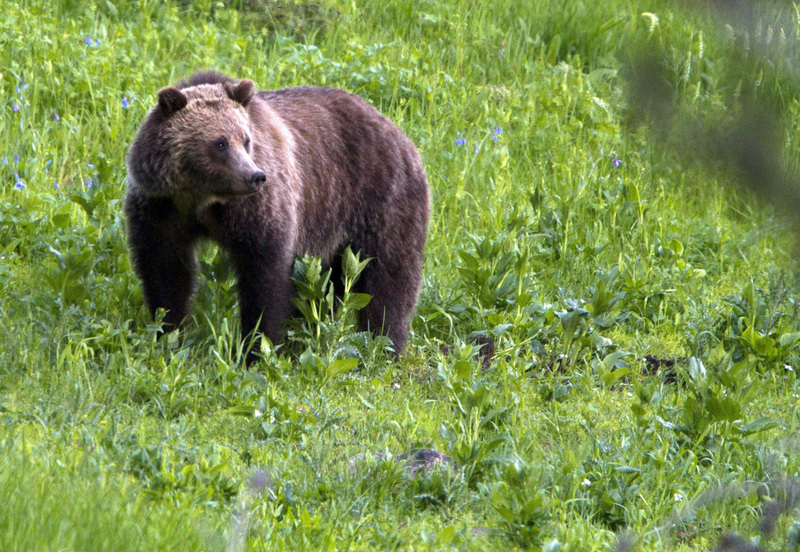 "We look forward to the judge's thorough findings on all of the myriad flaws in the government's approach to grizzly bear management in Greater Yellowstone," she said.